Facing mobile broadband caps, it’s easy for consumers to blame constant web browsing and occasional online video as the big bandwidth hogs, but they shouldn’t give a free pass to their mobile apps. The average smartphone software uses 10.7 MB per hour, according to Virgin Media Business (s vmed), which studied data usage of the 50 most popular mobile apps in the U.K. The hungriest software, Tap Zoo, topped out far higher than the average, using up to 115 MB per hour. While these hourly data utilization rates are much lower than streaming video or other media, consumers often jump in and out of apps at various times during the day. Virgin Media’s estimate is that the typical smartphone owner uses apps for 667 minutes per month, which equates to 11 hours. 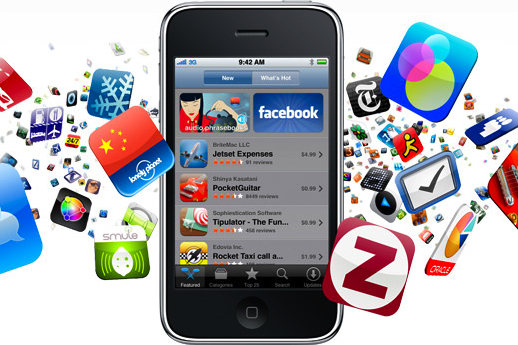 The number of downloaded apps is expected to top 44 billion by 2016, and app usage is on the rise, so it would be short-sighted to dismiss the mobile broadband usage required by data-hungry software on smartphones. As apps continue to gain popularity, developers will need to be more mindful of how much data their apps consume, and I wonder what impact the HTML5 web standard will have on data consumption in the long-term. More importantly, as apps eat up more data due to additional functionality, how will developers contend with the inevitable tiered mobile broadband pricing? I’m betting most consumers aren’t aware of how much data their apps are using; after all, the figure will vary based on the type of app, how often the software is used, if it runs in the background and pulls data, and even which platform it runs on. But maybe there’s an opportunity for improved consumer awareness. Any time you install a mobile application now, you know in advance exactly how big the software is because the amount of the app download is provided. Perhaps it’s time to consider extending that practice to the data requirement for the app. Maybe a ranged estimate of how much broadband a program will use should be included in the application’s description, much like the estimated fuel consumption for an automobile? What is really needed is for each OS to support tracking of how much network resources are used by each app over time, and provide that data to the user in some reasonable fashion. It should be able to keep track of WiFi data separately from whatever goes over the cellular network. If 4G is somehow metered differently, then that should be tracked as well. The problem with all of this is that it really needs to be done at the OS level, so that information is tracked for all of the apps, including things that may be considered part of the phone OS itself. I’ve long thought that a pie chart showing where my data usage came from would be great. Breaking things down by protocol just isn’t very useful when so many things ride on top of older protocols. We will probably need legislation to force Apple and app vendors to log app-by-app data usage. My daughter’s new iPhone4 uses a shocking amount of data and we have to uninstall the apps one by one then wait a day or 2 each time to try to track down the heavy user. AT&T will oppose this because they have a financial incentive for users to exceed the cap. I doubt the iPhone provides it but, all Android phones allow you to individually control apps. …then touch suspect app icon and hit “force stop” button. But FYI evil apps like the Twitter will re-initiate themselves upon a reboot and start sucking down the data all over again. That’s true, Todd, and it can be done in iOS as well. Through the multitasking feature you can close any running application. But I don’t think the issue is one of consumer control for the apps; instead, I think it’s consumer awareness for how much data an app actually can or does use.